Hillary's life has been a descent from normal human behavior to sociopathy. - Crime by crime, she has accelerated her pace from Highway to Hell to an Express Elevator to Hell. 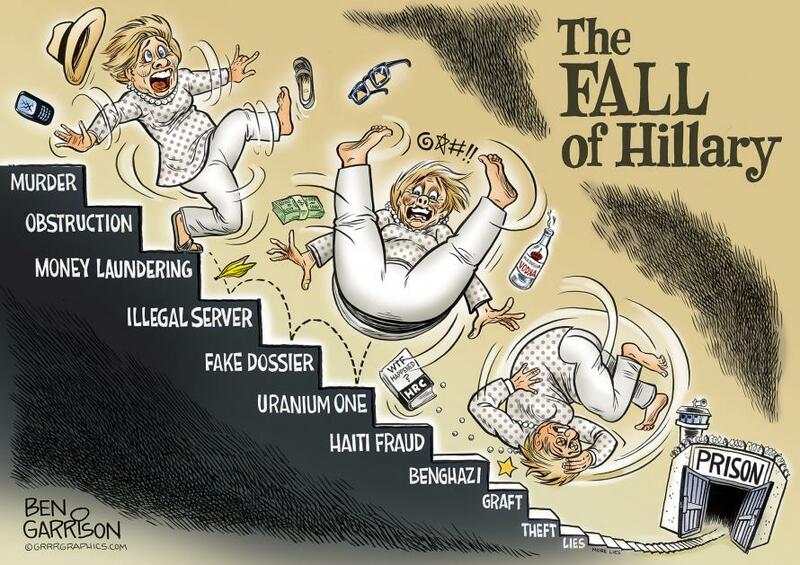 I rather like and admire Ben Garrison's 'take' on Hillary's progress. - She can no longer climb stairs, but she sure is good at falling down them...we all can 'hope' that her stairs have prison waiting at the bottom of them so that her bottom can be thrown-in to a cell the same way she was tossed into that van like a side of beef.